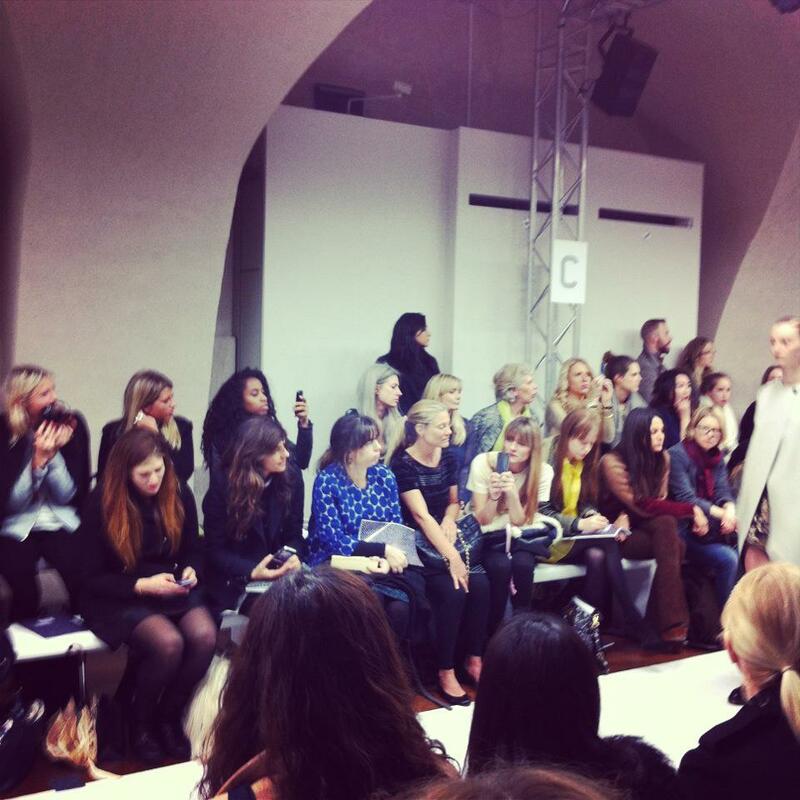 My second show of the day was Kinder Aggugini at Somerset House, where I was lucky enough to find myself standing opposite Alexandra Schulman on the FROW (let's just say, watching the editor of Vogue's real-time reactions to a fashion show = priceless). This was a show that attracted the celebs as well as the fashion glitterati, Jameela Jamil, Sunday Girl and Dionne Bromfield all added some celebrity glamour to the FROW. And much to the delight of the younger crowd, Kinder Aggugini presented a playful, fun collection to a hip-hop, poppy soundtrack that matched the tongue-in-cheek mood of the show. 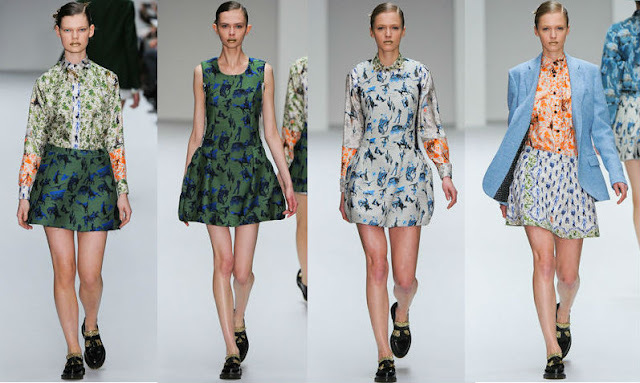 The first half of the show saw models sashaying down the catwalk in cute little dresses, shirts and skirts printed with cowboy photographs drawn from 18th century wallpapers. These were fun, playful looks then any young girl would love to model; I overhead Dionne Bromfield's stylists agreeing these were outfits they could really see her wearing. But who cares about a little petty theft when it looks this fun to wear- looking as good as an Aggugini girl can never be a crime. What FUN! I always enjoy seeing what fashion week is like for so many out there around the world...lovely! Wow, lucky you!!! That collection looks absolutely amazing! Oh I'm so jealous you seeing Alexandra's reactions! AND I'm loving all the prints of that collection! this looks like such a cute collection!! 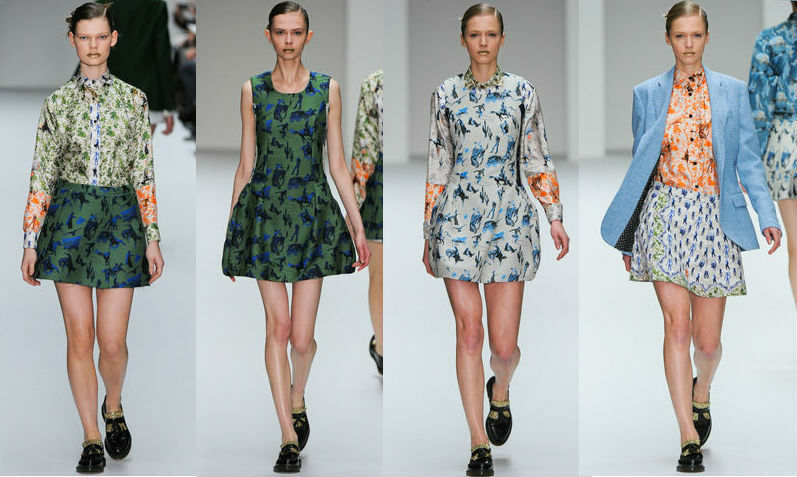 RIVER ISLAND'S SS12 COLLECTION WOWS!